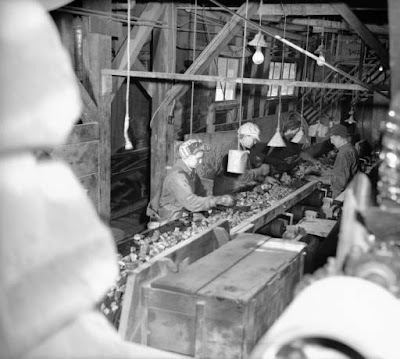 The historic North London Mill embodies the storied heritage of Colorado Mining. It is the central focus of the site. The aim is to restore and repurpose the structure, utilizing efficient systems and sustainable energy as much as possible. 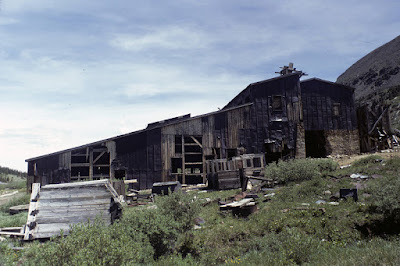 The Mill, originally built in 1892, is deteriorating rapidly, as photographs from 1977 and 2003 show. Thanks to funding from History Colorado State Historical Fund, an Historic Structure Assessment was completed on the Mill in 2018. The cost to rehabilitate it is estimated to be $1.5 million. 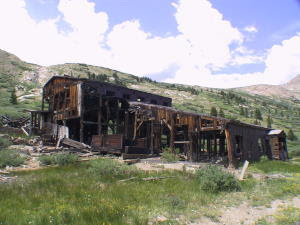 We are working with the Colorado Department of Natural Resources/Division of Reclamation, Mining and Safety to stabilize the structure. The building will function to provide educational and interpretive programming, and will offer some shelter, with semi-outdoor space (like a pavillion), and some fully enclosed spaces. We are working with architect Jessica Reske of form+works design group, LLC, who led the nearby Paris Mill restoration project. 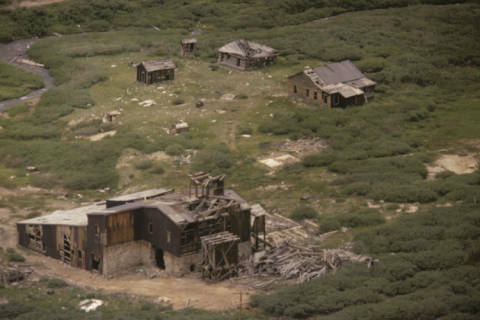 Historic Photograph show the Mill, the Office, two other structures of which only fragments now remain, and an outhouse.